When you choose to travel by bus, your drop-off points are usually nearby to your destination. It is straight-forward, convenient and most affordable compared to the other modes of transportation especially within Peninsular Malaysia. One of the most well-known bus operators in the country is Pahang Lin Siong Motor Co Bhd, which has been a registered company since 1937 but started its establishment in 1987. If you are thinking about travelling to Cameron Highlands for a weekend getaway or heading back to Kuala Lumpur to resume work? Book your Pahang Lin Siong bus tickets conveniently on Easybook website without having to leave the comfort of your space to queue up at the counter. It really is that simple. Check out this simple booking guide we have prepared for you to follow. Operating for more than 30 years in this competitive industry is truly a test of their survival skills as a company. Pahang Lin Siong who are based in Raub, constantly improve on their services to meet the demands of all travellers, which is why they are one of the fastest growing transportation companies in the Malaysia. 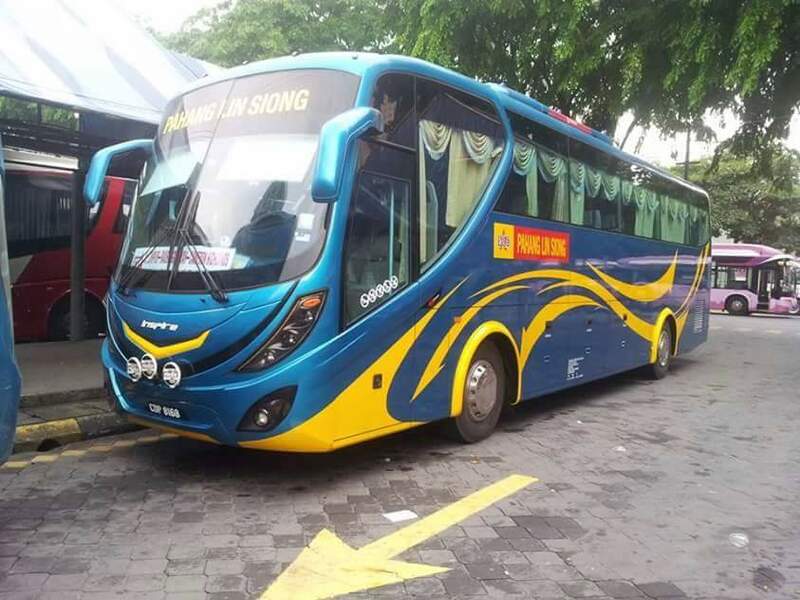 Besides Pahang Lin Siong’s knowledge in managing a bus company, all their express coaches be equipped with air-conditioning systems, comfortable seats and well-trained drivers in order for their customers to enjoy a safe journey back to their destinations on their 40-seater buses. To get the full schedule provided by Pahang Ling Siong, please type your preferred pick-up and drop-off points into the search bar to find out more about the times and the affordable fares given. In order to meet the high demands of their customers, Pahang Lin Siong Motor Co Bhd is planning to increase the number of their vehicles in the future to allow you to use their services with ease. We at Easybook would like to make sure you have a stress-free experience when booking your bus tickets. Gone are the days when you have to leave your house to go to the station in order to queue up for a bus ticket. Just log on, tell us your desired destination, make your payment and we will do the rest for you. If you download our mobile app for free, you can purchase Pahang Lin Siong bus tickets even conveniently at the palm of your hand!